Kick off your visit on the 23rd (Thu): admire the natural beauty at Sayaji Baug, take in the spiritual surroundings of EME Temple, then don't miss a visit to Tapovan Temple, then contemplate in the serene atmosphere at ISKCON Baroda, Sri Sri Radha Shyamasundar Mandir Temple, and finally don't miss a visit to Alkapuri Haveli. Here are some ideas for day two: contemplate in the serene atmosphere at Kirti Mandir, then explore the historical opulence of Lukshmi Vilas Palace, then see the interesting displays at Maharaja Fatesingh Museum, and finally tee off at Gaekwad Baroda Golf Club. For ratings, other places to visit, traveler tips, and tourist information, use the Vadodara trip site . Ahmedabad to Vadodara is an approximately 1.5-hour car ride. You can also take a train; or take a bus. Wrap up your sightseeing on the 24th (Fri) to allow time to travel to Shimla. On the 25th (Sat), walk around Annandale Ground, see the interesting displays at Annandale Army Heritage Museum, then take in the spiritual surroundings of Kali Bari Temple, then make a trip to The Ridge, and finally take in the spiritual surroundings of Jakhu Temple. Here are some ideas for day two: admire the striking features of Viceregal Lodge, then take in the spiritual surroundings of Sankat Mochan Temple, then don't miss a visit to The Mall, and finally take a peaceful walk through Kiala Forest. 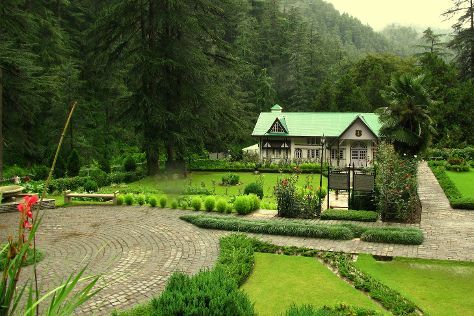 To find traveler tips, where to stay, photos, and other tourist information, use the Shimla road trip planning website . Traveling by combination of flight and taxi from Vadodara to Shimla takes 6 hours. Alternatively, you can do a combination of bus, flight, and taxi; or drive. Wrap up your sightseeing on the 26th (Sun) early enough to drive to Manali. On the 27th (Mon), take in the spiritual surroundings of Hidimba Devi Temple, appreciate the views at Solang Valley, then explore the activities along Beas River, and finally witness a stunning natural landmark at Vashisht Baths. To find out how to plan a trip to Manali, use our trip itinerary maker. Getting from Shimla to Manali by car takes about 4.5 hours. Other options: take a bus. Cap off your sightseeing on the 27th (Mon) early enough to travel to Mathura. 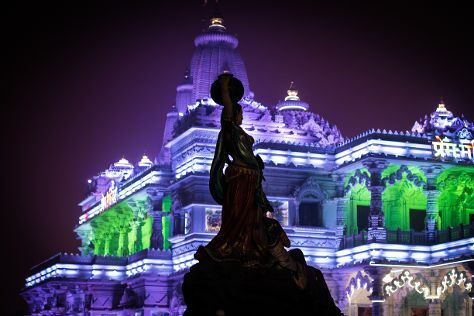 Kick off your visit on the 28th (Tue): take in the spiritual surroundings of Sri Krishna Janmasthan, don't miss a visit to Krishna Janmabhoomi Mandir, contemplate in the serene atmosphere at Mata Vaishno Devi Dham, contemplate in the serene atmosphere at Prem Mandir - Shyama Shyam Dham, then contemplate in the serene atmosphere at ISKCON Vrindavan, and finally take in the spiritual surroundings of Banke Bihari Temple. On your second day here, take in the spiritual surroundings of Sri Krishna Janmabhoomi Temple Complex, then contemplate the waterfront views at Radha Kund, and then take in the awesome beauty at Govardhan Hill. For maps, reviews, traveler tips, and more tourist information, refer to the Mathura holiday builder site . Explore your travel options from Manali to Mathura with the Route module. In May, daytime highs in Mathura are 48°C, while nighttime lows are 30°C. Wrap up your sightseeing on the 29th (Wed) to allow time to travel back home.